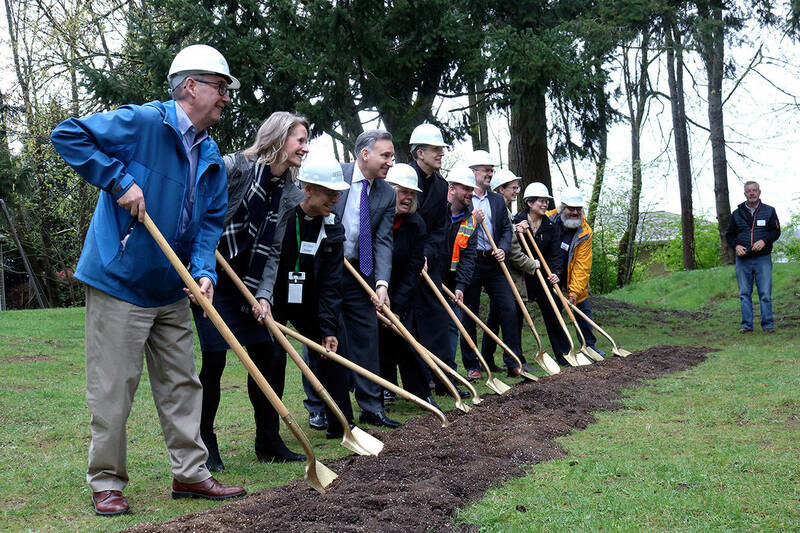 Doctors, business leaders and community members met May 9 for a groundbreaking ceremony that officially kicked off a massive campus renewal project at Overlake Medical Center in Bellevue. The expansion, called Project FutureCare, is a $250 million undertaking that will build out the hospital and upgrade existing facilities. The capstone project is a new 240,000-square-foot, five-story tower with modern single-patient rooms. A new childbirth center will be created, bed capacity for surgeries will be increased and the cardiac center will be enhanced. Overlake Medical Center and Clinics CEO J. Michael Marsh said the expansion was the largest in the hospitals 58-year history and an investment on the Eastside. “This project will enhance and support a healing environment for our patients,” he said. Overlake was founded in 1960 by the community and is led by a volunteer board of directors. According to Overlake data, it serves more than 100,000 patients at the medical center in addition to more than 280,000 through its clinics annually. It has more than 2,900 employees, nearly 350 beds, a level 3 trauma center, cardiac and cancer centers and the Eastside’s only inpatient psychiatric center. Bellevue Mayor John Chelminiak praised the hospital’s quality in providing health care. One of Chelminiak’s first acts as mayor when he was selected earlier this year was to sign over easements to Overlake allowing them to expand, he said. The expansion is based on an urban-to-trail philosophy, Overlake Medical Center COO Tom DeBord said. It will be focused on installing park-like features and trails through the campus. He praised the update to technology, particularly in the hospitals cardio department. Following the expansion, the hospital will have the capacity to deal with a mass-casualty event, DeBord said. The expansion will be completed in three phases. The first will be the new state of the art cardiac operating rooms. Two new operating rooms will be built to support future advancements and an existing operating room will be refurbished. Surgeons at Overlake currently perform more than 12,000 surgeries annually and the new operating room suite will accommodate 1,000 additional surgeries each year. The new tower will be completed in the second phase and include the new integrated childbirth center along with modern patient rooms and equipment. Orthopedic, oncology and cardiac patients will be housed in this tower. The final phase will be an expanded mental health care operation. The inpatient and outpatient services will be expanded and the inpatient mental health unit will be moved to a new space with additional rooms, and upgraded counseling and treatment rooms with space for more expansion. All three phases should be finished by 2022. The hospital is additionally located two blocks from a new light rail station opening in 2023. 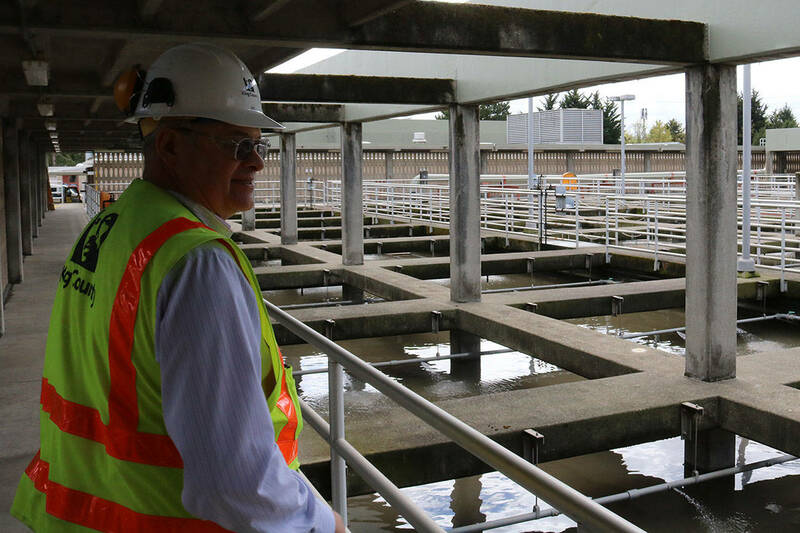 While the project is underway, a $50 million fundraising commitment set by the Overlake Foundation has not been met. Campaign FutureCare chair York Harris said they have received $17 million over a six-year campaign. After nearly one decade of strong growth on Wall Street that has benefited Bellevue, Harris urged residents and businesses to make a contribution.